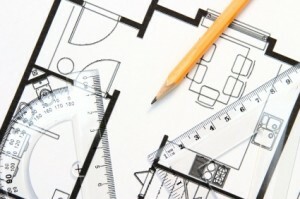 We covered what’s new about AutoCAD 2013 interface. Let’s explore the new features and enhancements further. In this article, we explore about object modification and manipulation. The new array command in AutoCAD 2012 had strong reaction. I found that almost everyone hates it. The associative array and path array are good. But creating array dynamically like that was painful. Autodesk had to include ARRAYCLASSIC in service pack 1 because of this rejection. So in AutoCAD 2013 Autodesk improve this feature a little. In 2012, array command is really hard to handle. You must move your mouse to change number of columns/rows and distance between objects. Yes you can type the value using ‘count’ option. But it’s not comfortable to use. If you want to change the value from ribbon, you must finish the command, then select the associative array (if you created it associative) then modify it from contextual ribbon tab. 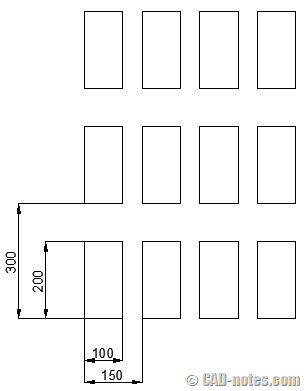 Now in 2013, after you create rectangular array AutoCAD will immediately create 3 rows and 4 columns, with each object’s distance approximately 150% of object’s size. Of course in this example below is easy because I created rectangular array from rectangle. If you create polar array, by default it will create 360 deg array with six items. The nice thing about this new array is: contextual ribbon is now showing before the command ends. So we can adjust the value from ribbon immediately. You don’t have to end the command; then select array after you finish to access contextual ribbon tab. This is very close to using dialog box. I think it’s much better than in 2012. And of course, if you prefer using grips, the grips are also available for you. There is a small change in hatch editor. 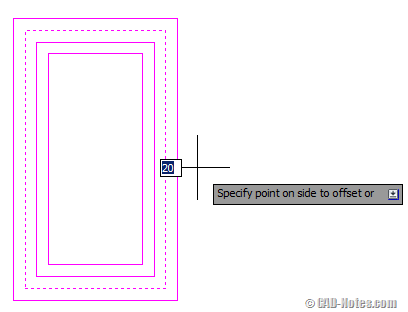 In AutoCAD 2013 you can select multiple hatches and modify them from contextual ribbon tab. Do you remember SNAPGRIDLEGACY? This system variable was added in AutoCAD 2012 service pack 1. It was because the same reason as array command: many people don’t like it. Now in AutoCAD 2013 SNAPGRIDLEGACY still exist. But you can also access it from snap then select legacy in snap option. Wipeout frame has another setting. Now not only you can turn it on/off, you can also choose to show it on screen but they will not plot. You can change it from WIPEOUT command then choose F for frame, then select D for display but not plot. You can also change it directly from WIPEOUTFRAME system variable. The result of available value is below. 0 Frames are not displayed or plotted. Frames are temporarily displayed for object selection and selection preview. 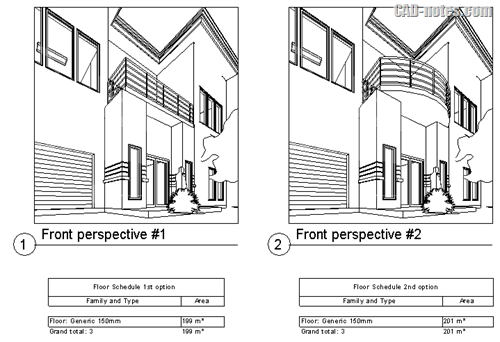 In AutoCAD 2013, you can see preview during offset command. So you can decide to click to place the copy or not. I’ve never had any problem without preview before. But I think it’s OK. This is a new feature that many people don’t like. I don’t know why, because it doesn’t bother me. I feel no difference on my computer’s performance anyway. It looks like people don’t like it because the preview has the same color with original object. So sometimes they can’t tell if they already offset it or not. You can tell the command has finished or not from dashed line. After you select the original object, it will turn as dashed line temporarily. But can you tell which side from existing line is the preview, and which one is already created? I think Autodesk will fix this soon. Probably in service pack 1. if the preview has the different color (or opacity) from original object then it should be fine. But some users might like an option to turn it off completely. In many forums, people recommend to use EXOFFSET as alternative. It works like offset in older version with more options. But remember: this is an express tool. So you must have it installed on your machine. And AutoCAD LT users don’t have this option. I appreciate what Autodesk has done with array. It’s much better than in 2012. But I don’t think the other enhancements are useful for me. They are small changes anyway. For the offset preview, it’s nice to have. But it can be better if the preview is different with original object. And of course people would love to have option to turn it off. What about you? Do you think they are useful? And do you like them? Would you please advise me what to do when my “fillet” command is not working to trim as I used to. The two lines I am trying to connect/ trim with F command to make a corner wont let me do it anymore. When you activate the fillet command, you have trim option. Have you tried to change it?